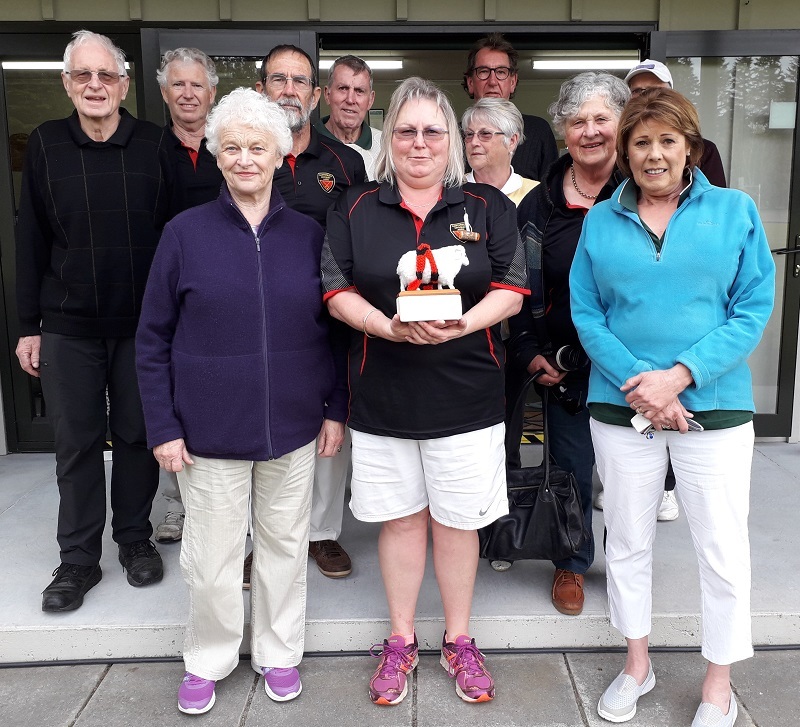 On Sunday 23 September 2018 South Canterbury and Canterbury competed in the annual AC inter-provincial. The Canterbury team was: John Yarrall, Owen Evans, Ian Campbell, Neville Turner, Leo Van Oosten, Alan Cook, Sally Jeffcott, Marguaritte Rogers (Captain), Patsy Clegg, Carol Kidd, Bruce McLay and Rosalind Thomson. A great day was had by all. 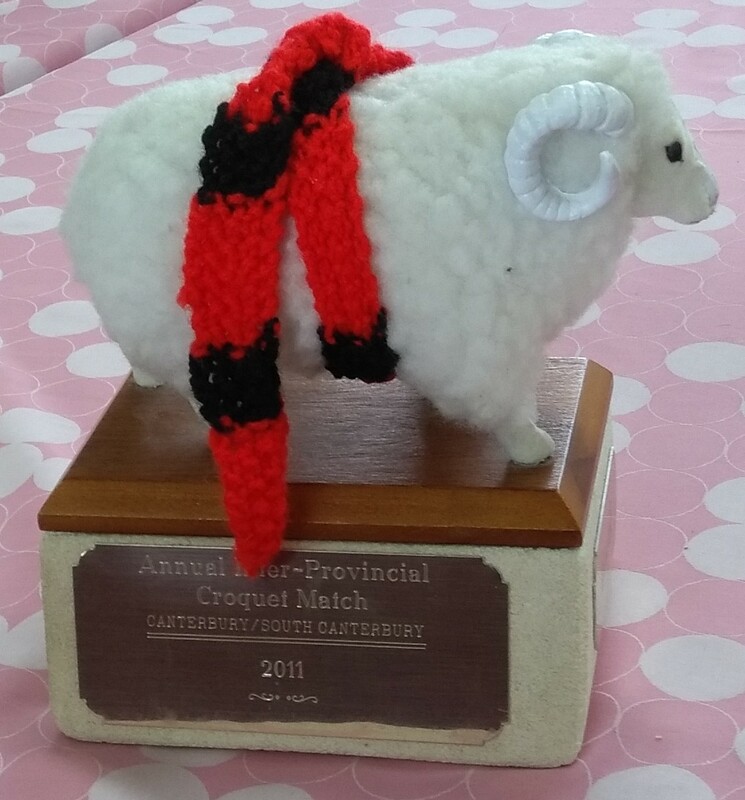 So, Basil was once again retained by Canterbury after some well fought-out games. 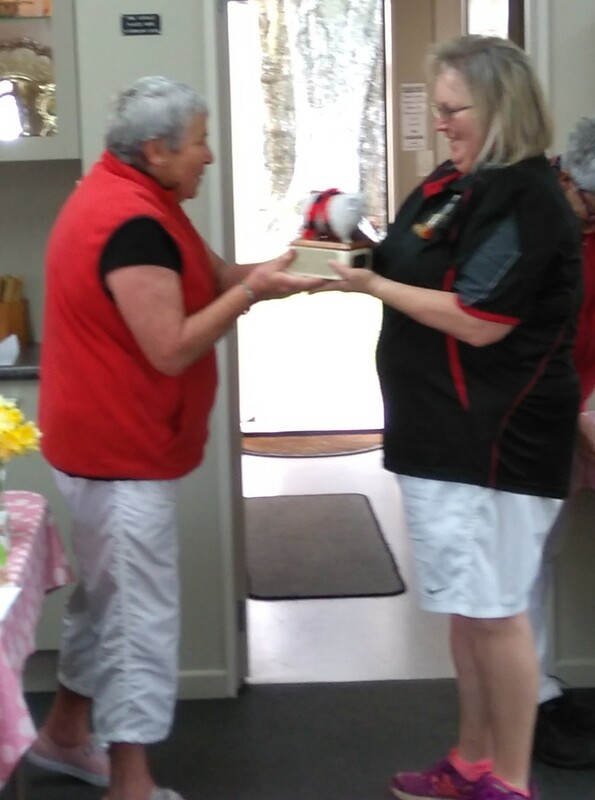 A huge thanks to Raylene Coles and her team from the Waireka club who hosted and kept us watered and fed. A big thanks to the South Canterbury team who challenged Canterbury in every way. The tournament was played as doubles with three 2-hour games that stopped on the bell. The winning team is the one with the greatest number of hoops. Canterbury scored 196 to 159 for South Canterbury.